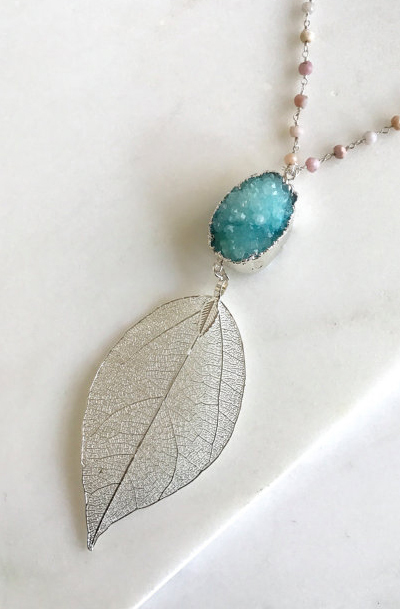 Long Silver Leaf and Turquoise Druzy Necklace. Pendant Necklace. Druzy Necklace. Boho Necklace. Jewelry. The leaf is about 2.5" long, the druzy is about 1' long. The necklace is just under 30" long plus the druzy/leaf pendant.